Today is the last day of February as tomorrow is the beginning of many great events. The THERAPY-IV crew wants you to enjoy and take full advantage of the month of March. When you’re not out Miami Inshore Fishing, there are plenty of other things to do. One big event in the month of March is the Song Open Tennis tournament. This tournament has been in the location of Miami since the 1960’s. 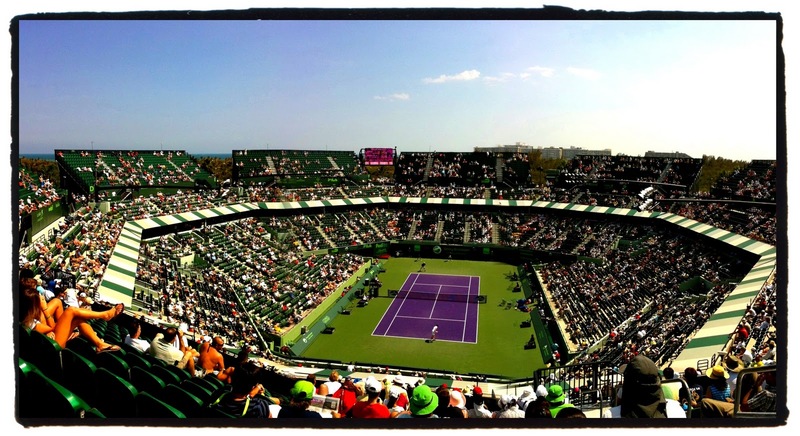 Sony Open Tennis is a long lasting tradition for tennis players around the world. Both men and women compete in this tournament in their own separate divisions. Some of the largest tennis names in the world will be present including Novak Djokovic, Andy Murray, Rafael Nadal, Serena Williams and more. Every big name will be present as all are always looking to be the best in the world. For the Men’s division, recent champion for the past two years has been Novak Djokovic. This tournament is a great indicator on who the best tennis player is as Djokovic is the best player today. Women’s division, there have been different champions since 2008 when Serena Williams won two years in a row. This will be a fun and exciting tournament for tennis fans everywhere. Don’t miss out on this wonderful opportunity, as one of the biggest tournaments in the world will be right here in Miami. 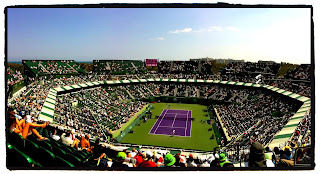 Song Open Tennis will be in Miami from March 18-31 as now is the time to purchase tickets. 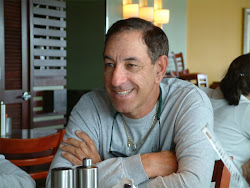 When you’re not going out Miami Inshore fishing on the THERAPY-IV during March, visit this tournament and view the best tennis players in the world. You can call now 1-800-725-5472 or visit online to purchase one of your very own tickets for this tournament. Miami Sailfishing on the THERAPY-IV. It will be an unforgettable trip that you and your family will enjoy. Taking a nice relaxing trip on the THERAPY-V sailing out in the sea may be exactly what you need. Miami Sailfishing trip is unique as it is both fun and relaxing. Fun happens once a fish is hooked and everyone does their best to capture it. People enjoy the great sense of accomplishment of catching a sailfish. These fish are difficult to capture, as they are large, strong, fast and great fighters. Sailfish are beautiful fish that anyone admires looking at. For a fisherman, catching sailfish is an accomplishment. Group of people Miami Deep Sea Fishing will be able to cooperate and help each other in order to catch the sailfish. Teamwork and cooperation from fishing creates a bonding experience unlike anything else. Vacation during Easter and Spring Break is the perfect time to go fish, as the weather is not too cold or hot. Spring weather has the perfect balance between warm and cool. Miami is the place to be during spring as many travelers will be driving and flying in from all over the world. Plan your Miami Deep Sea Fishing trip for spring today before it’s too late. Miami Fishing can become increasingly popular as family and friends can take part in it, especially Miami Wahoo Fishing. This activity invites family, friends and close ones to join in a boating adventure. Everyone is working together for the same purpose, which is capture fishing. Teamwork and cooperation from Miami Fishing creates a bonding experience not found anywhere else. Among fish being captured, fishing for wahoo has become increasingly popular. These fish have become popular to capture due to the level of difficulty they bring. 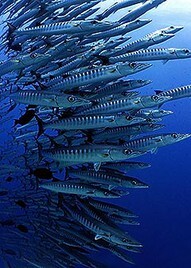 Wahoo fish are among the fastest fish one can find in the deep sea. When Miami Wahoo Fishing, it’s only the beginning once they are hooked. A wahoo that is hooked will aggressively shake they head around below surface. One will typically find wahoo between 10 and 30 pounds. There larger wahoo that can be 50 or even over 100 pounds. They are not common to catch, which makes them that much more desirable. Fishermen like most people always want what they can’t have, at least difficult to get. In order to capture these fish one must use the correct bait in order to do so. Recommended bait for wahoo are live bait, trolling baits and artificial lures including trolling spoons. For those who want to know: live bait for wahoo include live pilchards, sardines, mullet, live small bonito and herring. Miami Fishing on the THERAPY-IV provides reels with a 60-pound test line in order to handle these fish. Wahoo can be captured with spinning rods and reels while drift fishing. For those who enjoy a good challenge should take a Miami Wahoo Fishing trip. The THERAPY-IV crewmembers will be provided along with the boats in order to assist you with successfully capturing these fish. Miami Beach Deep Sea Fishing crew hopes everyone had an enjoyable weekend. As the day are passing by, the month of February is wrapping up. We are not far from the next season as spring is coming. 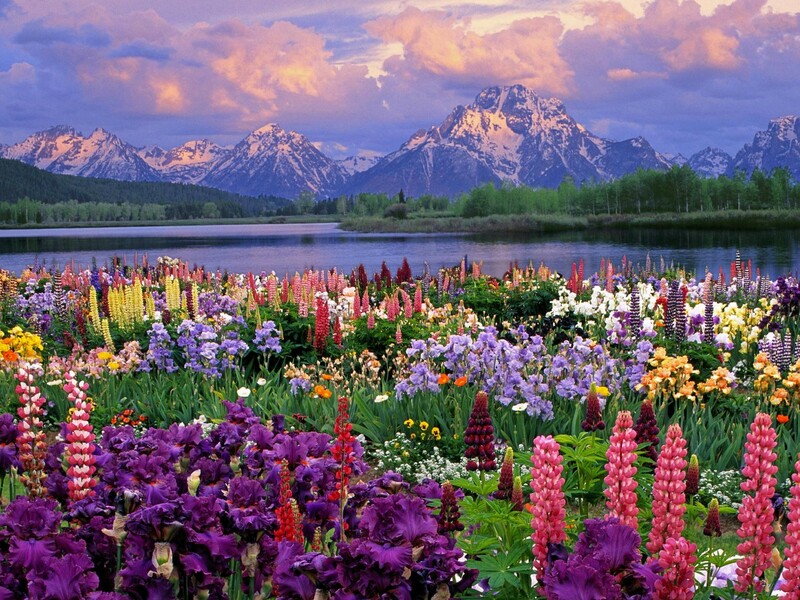 Spring is one of the more enjoyable seasons of the year as the weather is perfectly warm. South Florida is the place to be during spring as there is surrounding water, nightlife, gorgeous people and many other amenities. It’s common knowledge that Miami Beach is where everyone wants to be for their spring break. Whether you’re visiting or living in Miami Beach, take a trip to Haulover Marina. This area provides fishing charters including the THERAPY-IV. 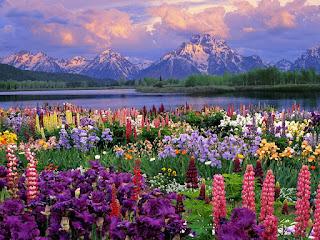 Enjoy your spring break or anytime during season on the THERAPY-IV. This fishing charter provides two identical boats so that more customers can enjoy the trip. Taking a Miami Beach Deep Sea Fishing trip from Haulover Marina should be on your to do list for spring break. There are so many activities to choose from in Miami Beach, especially during spring. In anticipation of all the oncoming visitors from around the country and world, Miami Beach will open a number of activities for them. Even if you have lived in South Florida for many years, there are likely plenty of activities you have not taken part in. Fishing during spring provides the perfect balance as all the fish are out and it’s not too hot outside. Season of summer can be too hot for some people, especially with the sun beaming down. Enjoy spring when it comes around and celebrate with a trip on the THERAPY-IV from Haulover Marina. Taking a Miami Beach Deep Sea Fishing trip on the THERAPY-IV will be an unforgettable trip for you and your family. The THERAPY-IV, a charter boat company that provides Miami Deep Sea Fishing services, is proud to promote the famous 12th annual South Beach Wine and Food Festival, which begun yesterday, February 21, and will continue into Sunday, February 24. Presented by the Food Network, this national, star-studded event showcases the talents of the world’s most renowned chefs, culinary celebrities, and producers of wines and spirits. This famous event is hosted by Southern Wine and Spirits of Florida, and by Florida International University, which to date has raised $17 million for its increasingly reputable Chaplain School of Hospitality and Tourism Management. Over 1,000 FIU students help make the festival possible. The event is becoming increasingly popular: last year, more than 60,000 guests – many coming from all over the world – took part in the festival’s 50 events, which featured over 150 reputable chefs and over 250 wineries, spirits producers, and non-alcoholic beverage suppliers. There are no shortage of things to do, ranging from wine tasting and brunches, to culinary seminars and parties. There is even a fun and educational event for children. 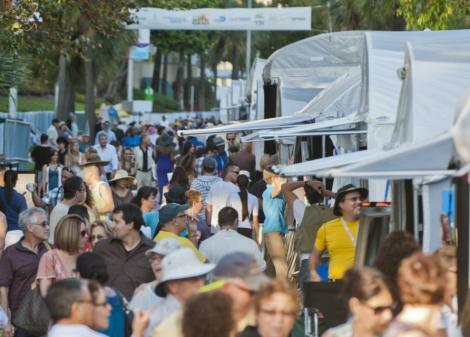 There is something for everyone at the South Beach Wine and Food Festival. To learn more, visit their website at www.sobefest.com. Fishermen come in all shapes, sizes and preferences when it comes to fishing. Some prefer to go out in the deep sea while others want to stay closer inland. Generally people who are not as familiar with being out in the water prefer to fish inshore. Locals in the Miami area enjoy fishing both in the deep sea and inshore. People in the Miami Beach area enjoy Miami Inshore Fishing. Residents of Miami Beach do not want to travel too far from their city. Miami Inshore Fishing so they can hurry back to land and have fun there too. Beginner fishermen find it easier to capture fish inshore as they are bunched together. Being out in the open sea gives fish plenty of space to swim anywhere across the ocean. For those who have not taken Miami Beach Fishing trip are missing out, especially if you are a local. Miami Inshore Fishing is fun for everyone as friends and family can take part in it. Take a trip sometime this week to a Miami Beach Fishing charter and go Miami inshore Fishing. Today is a great day to go Miami Barracuda Fishing on the THERAPY-IV. If you live in South Florida and you have not gone Barracuda Fishing you’re missing out. Fishing for barracuda can be a lot of fun and very challenging, especially for beginners. These are not friendly fish as they have many teeth and they are more than willing to bite down. 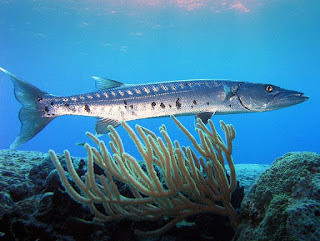 Barracuda can be found both inshore and out in the sea. This is convenient for those who do not want to travel out far in order to fish. Most fishermen will tell you that a barracuda is one of the first decent fish one will catch. Not only have size, but barracuda are also little fighters. Some barracuda are larger than others, but all put up a good fight. Going Miami Deep Sea Fishing and catching your first barracuda brings a good sense of accomplishment. Catching your first big fish gives you a big push of confidence, which leads to more fishing. Most people who choose not to fish do so because they were not successful with capturing fish. Whether you’re an expert or still haven’t caught your first big fish, go Miami Barracuda Fishing today. Fishing on the THERAPY-IV is unlike any other boat you have been on before. There are two of these boats so that more fishermen can enjoy this model. The THERAPY-IV is a 58-foot boat with a beautiful interior to enjoy while sailing out in the sea. Boat provides the best fishing rods and tools one can find along with experienced crewmembers. These crewmembers will help ensure you catch what you’re going after whether it’s barracuda or any other fish. Come out today for Miami Barracuda Fishing on the THERAPY-IV. The THERAPY-IV crew hopes many of you enjoyed your long weekend. South Floridians are still trying to get used to this cold weather we are experiencing. Even though the weather is cooler than it’s been for a long while, spring is not far away. Before you know it, the sun will be shining brightly with the spring warm weather. Most of us are thinking about staying warm throughout the day that is only going to last for a while. Now is the time to start looking forward to the season of spring. Next month coming up is when spring begins as all the spring breakers come from all over the country. Spring breakers view South Florida as the place to be for their spring break. South Florida is the best place to be for spring break due to the warm weather, beaches, entertainments, parties, beautiful people and outdoor activities. Outdoor activities during spring include swimming, fishing, football, tennis and more. One of the most popular outdoor activities during spring break is Miami Barracuda Fishing. Miami Beach area is one of the best hot spots for catching barracuda. These fish are easy to find in South Florida, especially during spring. Warm weather draws out many fish to the open sea, including barracuda. Even though they are easy to find, not as easy to catch. Miami Barracuda Fishing is a rewarding experience as they are great fighters and difficult to capture. Spend your spring break experiencing barracuda fishing on the THERAPY-IV. 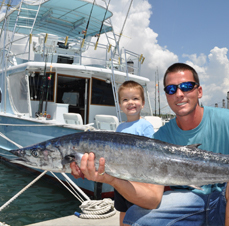 This fishing charter provides two identical boats along with well-experienced crewmembers. Taking a Miami Barracuda Fishing trip on the THERAPY-IV will be an unforgettable trip. Spring breakers will have a great time enjoying the South Florida weather and water while barracuda fishing. The THERAPY-IV from Haulover Marina wants to wish everyone a Happy Presidents Day. Many of us are given the day off to relax and enjoy a three day weekend. Most people are catching up some much needed sleep while others are relaxing or running errands. Schools, banks and many other public ran businesses are closed for the day. Some of us are still working whether it’s because we want to or the boss says so. We encourage everyone to take the time and realize what this day is all about. 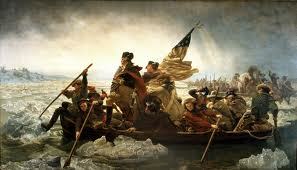 Originally our first president George Washington originally established this day. Holiday of Presidents Day was originally the birthday of our first president. The Uniform Monday Holiday Act reinforced this day as a holiday in 1971. Presents day is one the third Monday of February every year. Today this holiday is celebrated to remember and appreciate the presidents of our past and present. It’s important for us to know and understand who our previous leaders were. Knowledge and appreciation for previous presidents and leaders is what being an American is all about. There is nothing more patriotic than knowing about your U.S. History. Unfortunately many of us do not know as much about our previous presidents as we should. Many of us are caught up in the daily routine from life and have been away from school for a long time. Some would consider this knowledge trivial but this kind of knowledge is what being an American is all about. Let this be a day where you take the time to learn about your previous presidents. Most of us are given the day or some time off; use some of that time to learn about your presidents. Miami Deep Sea Fishing crew the THERAPY-IV wants everyone to enjoy their day whether they are working or not. Crewmembers from the THERAPY-IV want to bring to your attention this great weekend in South Florida. There will be plenty of events to choose from this weekend. These events include Miami International Boat Show, Coconut Grove Art Show and Haulover Kite Festival. Weekend includes the holiday that is President’s Day. One can choose to take part in so many activities including Miami Deep Sea Fishing. Miami International Boat Show is an all weekend event that has three locations. Multiple locations are needed since there will be so many boats to be docked. Some of the most grand and luxury boats around will be present for this show. Fishermen, charters and boaters alike will be present to view and learn from others at this grand gathering. 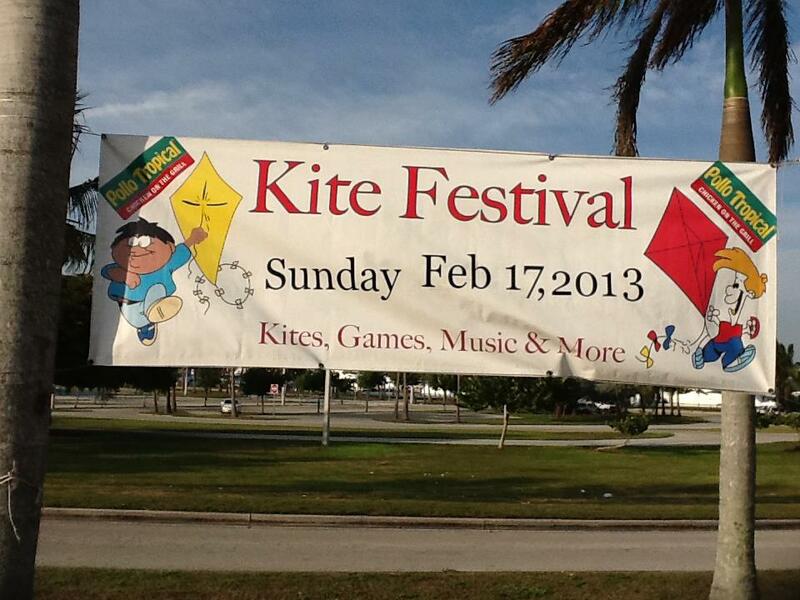 On Sunday, Haulover Park will be hosting Kite Festival all day long. Kite Festival is an all day long family event that starts from morning to sunset. Foods, drinks and entertainment will be provided along with amazing kites being flown in the air. Coconut Grove art festival is one of the most popular art shows in South Florida. This year will be this art show’s 50th anniversary of displaying art. There will be visual, culinary, performing and recreational arts. Along with these arts there will be a global food village with Palette breakfast. Celebration of the arts only gets better throughout the years. Art will be displayed from artists all over the country and world. Some of the most famous as well as up and coming artists will be displaying their work. Any fan of art will have a wonderful time visiting the Coconut Grove Art Show. Weekends like this is what living in South Florida is all about. South Florida. Miami Deep Sea Fishing crew does not want you to miss out on some of these amazing activities this weekend. 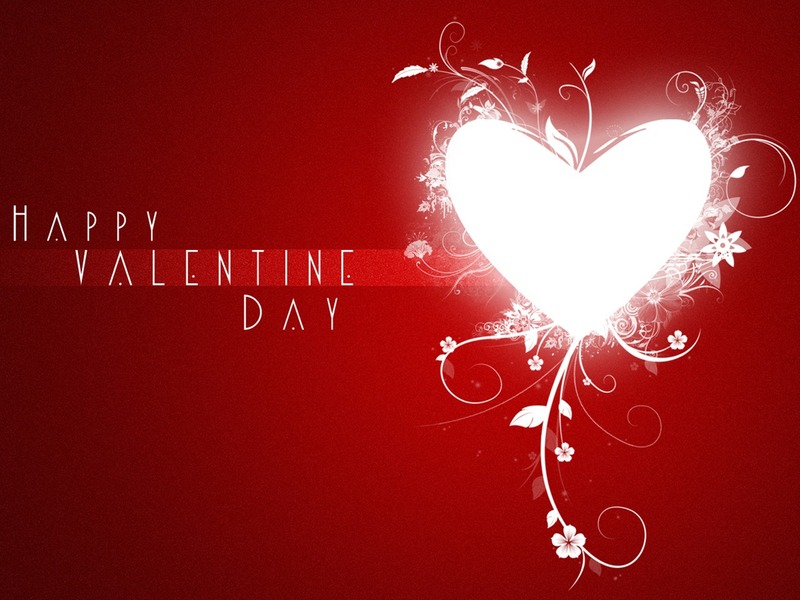 Hope everyone is enjoying their Valentine’s Day today with their loved ones. Take advantages of these holidays and have a great time enjoying each other’s company. After this day there is a great weekend to look forward to. This weekend is one for the Miami International Boat Show. Couples, families and friends are welcome to show us and have a great time. Event is so huge that it has to be done in three locations throughout the weekend. 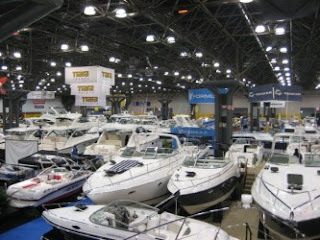 Boat show will feature some of the most amazing boats around the country. There will be boats, yachts and many more water vehicles for visitors to see. Many Miami Deep Sea Fishing charters will be present including the THERAPY-IV from Haulover Marina. Outside of these amazing boats to view, there will also be entertainment and seminars from experienced fishermen. For fishermen, there is much to see and learn from going to the Miami International Boat Show. All kinds of people are welcome whether you’re experienced fishermen or not. Those who are interested in learning about fishing and boating will have plenty to learn at this event. Three locations are given due to the magnitude of this event, plus there are many boats being docked. Visitors will be able to take a tour in some of the most amazing boats and yachts around. Don’t miss out on this amazing weekend, especially if you have never gone to the Miami Boat Show before. Miami Deep Sea Fishing crew from Haulover Marina is encouraging everyone to take the time from their weekend to attend this boat show. Miami International Boat Show is one of the largest and most popular boating events of the year. Enjoy your Valentine’s Day today and make your weekend special with a trip to the Miami International Boat Show. Valentine’s Day is Tomorrow – Book Your Trip Now!!! 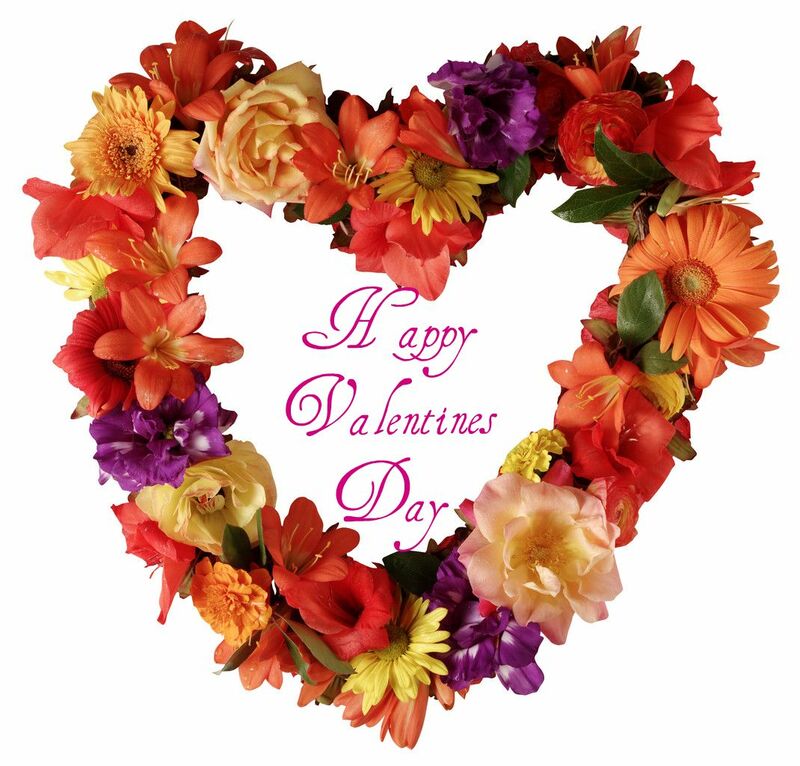 Valentine’s Day is tomorrow when many loved ones will be enjoying each other’s company. Most people are too busy throughout the day to spend quality time with each other. Whether it’s for work, school, social or home obligations; there is rarely time for some couple quality time. Many couples spend their time with other people in order to have a good time. Going out with other people is a lot of fun, but isn’t the same as alone quality time. All couples are excused to alienate themselves from others and just spend time with each other. By now many couples have already made plans for the big day tomorrow, dinner at the very least. For those couples that have no made plans during the day should take a Miami Deep Sea Fishing trip on the THERAPY-IV. Why not take an adventurous trip on the THERAPY midday before a nice romantic dinner? It’s a great way to pass time before the big dinner that has been planned for weeks. Even though this is last minute, many people enjoy spontaneity. Last minute fishing trip would be a surprising gesture that your loved one will enjoy. Taking a trip on the THERAPY-IV is an adventure within itself. Teamwork and cooperation required to capture a difficult fish will be a bonding experience. Whole day will be just you and your loved one with crewmembers only assisting the fishing process. Two of you will be left alone to enjoy each other’s company out in the sea. It still isn’t too late to book your trip for Valentine’s Day tomorrow. Surprise your loved one with last minute Miami Deep Sea Fishing trip. Book your trip now for Valentine’s Day Tomorrow!! 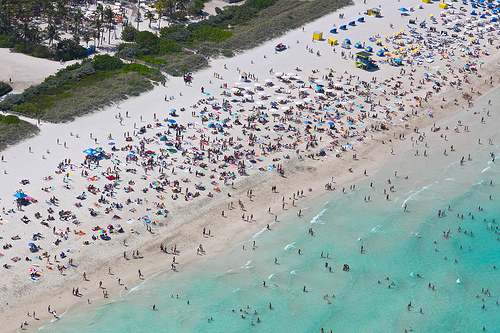 It’s never too early to start preparing for Spring break, especially in Miami Beach. People from all over the country make their way to South Beach in order enjoy their spring break vacation. South Florida has the best weather to offer during the spring season. Now is the time to start preparing for spring break as there will be a great amount of people traveling to Miami Beach for entertainment. Business is going to pick up soon and now the time to start preparing so that everyone can enjoy them. There are so many outdoors activities in Miami Beach that cannot be experienced anywhere else. Among these activities there is Miami Sailfishing on the THERAPY-IV. The THERAPY-IV is one of the most popular fishing charters in Miami Beach. Some visitors travel all the way to South Florida in order to enjoy a relaxing and rewarding Miami Fishing trip. Both residents and visitors will be taking part in some of the many activities in Miami Beach. Fishing trip is ideal for those who are looking to relax between tiresome activities. Miami Sailfishing is a relaxing and laid-back trip for both residents and visitors to enjoy. Capturing sailfish is one of the more thrilling and rewarding experiences out there. Tourists can sit back and enjoy the perfect South Florida weather while on the boat. Best way to prepare for spring break is by anticipating a great amount of customers from both residents and visitors. Visitors will be making their way to Miami Beach, as this city has been the place to be for spring break for many years. Residents who are welcome to meet new people are going to be taking part in Miami Beach activities as well. The THERAPY-IV and Miami Beach prepares for spring break now so they can be ready when the time comes around. 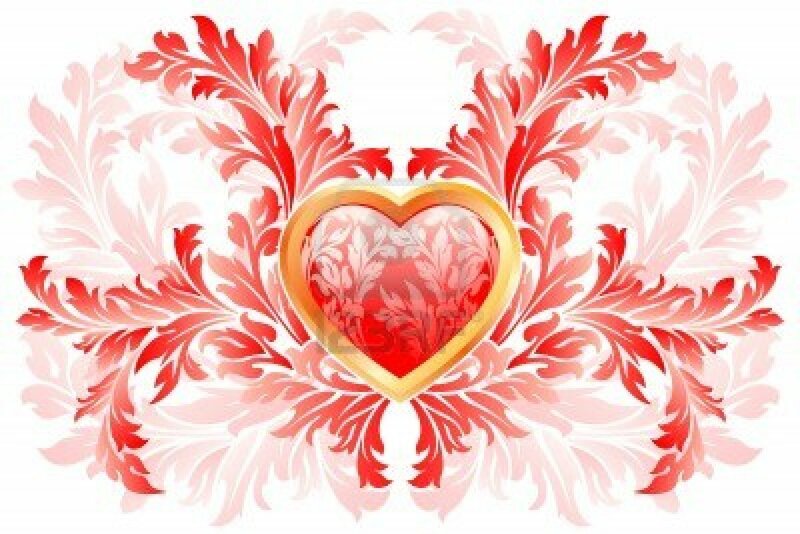 Valentine’s Day This Week – Book Your Trip Today! Valentine’s Day is only a few days away as the week has just begun. Everyone starts their week with a to do list of what has to get done throughout the week. One thing that should be done this week is to book a Miami Deep Sea Fishing trip for Valentine’s Day. Break apart from the social norm that everyone else does on this holiday. Why not be on the boat while everyone else is at a restaurant waiting to be seated? Adventure from Haulover Marina will be an unforgettable trip for you and your loved one. There is nothing more romantic than being out in the open sea. Take a short trip to Haulover Marina and set sail from there to the deep sea. Dinner set up can be arranged while out on the THERAPY-IV. Fishing is a sport that is very relaxing and laid back. Couple can sit around and enjoy each other’s company until a fish bites into the bait. Once this fish bites, couple can work together in order to capture it. 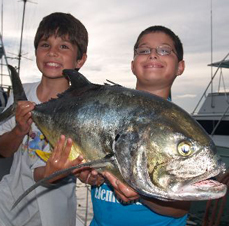 Miami Deep Sea Fishing can be a bonding experience that has been missing for a while. Cooperation and teamwork is necessary in order to capture fish, especially the larger ones. Fishing trip can strengthen the bond that is already there. Every couple wants to enjoy a special Valentine’s Day unlike any other holiday. Not many couples will be able to say that they went Miami Deep Sea Fishing on Valentine’s Day. This fishing trip is a good change of pace from the romantic dinner, movie outing or any other Valentine’s Day traditions there are. Book your trip today to go fishing on Valentine’s Day this week while bookings are available. Trying to find something to do this upcoming weekend with the family? Many families do not get to spend enough time with each other. People today are so busy with school, work, home and social obligations. Events are made so that these families can join together to have a good time. Miami Deep Sea Fishing charter wants to introduce to you a family event for this upcoming weekend. 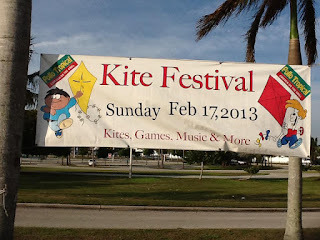 This event is Kite Day at Haulover Park this upcoming Sunday. Nearby the Haulover Marina where the Miami Sailfishing charter resides is the park for this event. Kite Day event is sponsored by Pollo Tropical among many other sponsors. Event will have kite flying, games, music and more. Skyward Kites is holding it’s 20th annual Kite Day at Haulover Park. This event is an all day event starting from 10AM to 6pm or sunset. Families and friends can spend their Sunday out in the park flying their kites. People will be able to freely fly their kites or choose to compete over which kite flies best. There will be music entertainments as well along with a great selection of food and drinks. Kites are for sale as little as $5.00 so that everyone can be involved. This is once in a year opportunity that should not be missed out, especially for families. For those who are not familiar with the location of Haulover Park, address is 10800 Collins Ave in Miami Beach, FL. When you’re not Miami Sailfishing on the weekend, this is the place to be. Miami Deep Sea Fishing charter has been promoting this event for weeks through their social media and website. Everyone is welcome to join us this weekend at the Big Kite Show this upcoming weekend. Season of winter is concluding as the season of spring is only weeks away. Even though the winter season in South Florida is relatively warm, spring brings more heat. Warm weather leads to more people going out to enjoy outdoor activities. Water being warm attracts more fish as well. Fish such as Sailfish, Marlin and Sharks will be more easily during the springtime. Miami Sailfishing is one of the most popular activities during the season of spring. Weather during spring is warmer than winter but not too hot like the summer. Summer heat is much more intense than the spring weather. Many fishermen consider spring the perfect balance of weather in order to find fish. Other popular activities such as Miami Shark Fishing and Miami Marlin Fishing can be done on the THERAPY-IV. Miami Deep Sea Fishing charter the THERAPY-IV is the place to be during springtime. There are many outdoor activities to take part in, especially in South Florida when the weather is warm. Fishing trip is an activity that is both fun and relaxing for people who enjoy outdoor activities. Sharks, sailfish and marlin are some of the more difficult fish to capture. All of these fish are strong and great fighters once they are hooked. Whether you’re going Miami Shark Fishing or Miami Sailfishing, it will be an unforgettable adventure. Not many people out there can say they have captured a sailfish, shark or marlin. 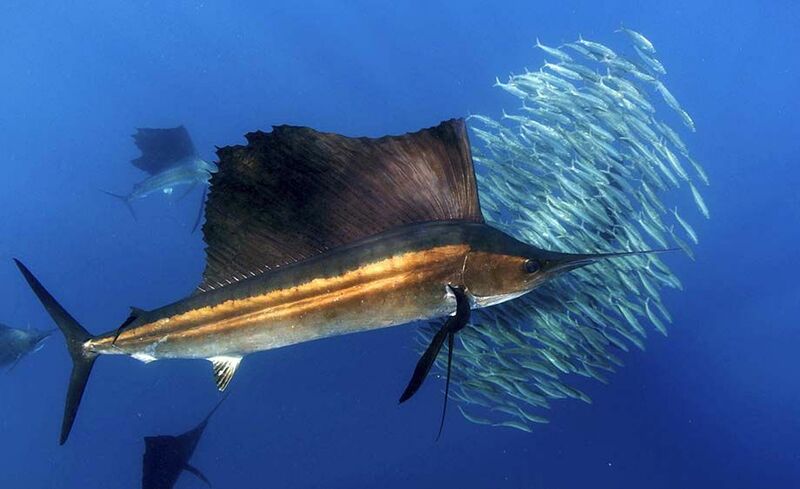 Sailfish and marlin happen to be some of the prettier fish out there in the sea. 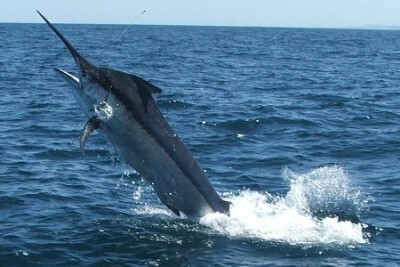 Many fishing tournaments present a marlin in the trophy, as they are the signature fish to capture. Marlin is South Florida’s own as this is the best area to find and capture these fish. Enjoy spring when it comes around to go shark, sailfish and Miami Marlin Fishing. Valentine’s Day is around the corner and now is the time to start making plans. Every couple wants to make their Valentine’s Day special to express their love to each other. Many couples simply go to a restaurant in order to have a nice dinner with each other without the work. Some of these couples want to make their Valentine’s Day unlike any other one they had before. After going to the beach, movies, dinner and concert there have to be something different to do. Couples can bond over an activity that requires teamwork and cooperation. This activity can very well be Miami Deep Sea Fishing. There is a Deep Sea Fishing charter in Haulover Marina called the THERAPY-IV. Deep Sea Fishing on Valentine’s Day would be a special and unique trip that most couples will not be doing. Fishing requires plenty of teamwork in order to accomplish capturing a fish, especially a big one. Most people are too busy with their daily routine to spend quality time with each other. Taking a boat trip will be an escape from all the busyness between school, work and home obligations. Other couples that are doing the same thing crowd the couples that go to restaurants and other events. Trip from Haulover Marina will be one between you and your spouse. Being out in the sea can be romantic scenery that will be perfect for Valentine’s Day. Isolated and quiet dinner can be arranged while out on the THERAPY-IV. Make your Valentine’s Day special this year by taking a couple’s trip on the THERAPY-IV. Your couple will be able to share with others about your Miami Deep Sea Fishing trip. Book a trip today to bring your sweetie deep sea fishing on Valentine’s Day. Valentine’s day is around the corner as every couple is trying to make their day special. Event or activity for this day has to be unique and different from the last. No couple wants to do the same thing as they did before for Valentine’s Day. Many couples simply go to a restaurant so they can both receive good food with quality service. Issue is that most couples do this so restaurants everywhere are packed with waiting lists. Try something different for this year’s Valentine’s Day such as Miami Beach Fishing on the THERAPY-IV. Fishing trip would be special for a couple to share quality time with each other. Most of us who live in South Florida are surrounded by much activity and noise. Trip on the THERAPY-IV would be a great escape from all the busyness of our daily routine. Being out in the sea is a peaceful and quiet experience for couples to enjoy each other’s company. Couples would together to catch is a bonding experience that they will never forget. Most couples would think of a fishing trip for Valentine’s Day to be unusual, but that’s what makes it so special. The THERAPY-IV is a large and comfortable boat where couples can relax and have their own space. Inside the cabin there are comfortable couches with a table and mini bar set up with HD televisions. A couple can have a nice romantic lunch/dinner out in the sea away from everything else. Not many couples will be talking about how they went Miami Beach Fishing which will make your trip that much more special. Valentine’s Day couple can enjoy the rest of Miami Beach after the fishing trip. Miami Beach has many activities and forms of entertainment for a couple to enjoy. Miami Beach Deep Sea Fishing charter the THERAPY-IV is revving up for the next big racing event. It is the Daytona 500, this event is nationally known to race car fans everywhere. Date of this event is February 24th on a Sunday. Florida residents and visitors from around the country will be present for this event. Daytona 500 will be having a Budweiser Pre-Race Show early that afternoon at 12:20PM. Zach Brown Band will be performing for the Daytona 500 Budweiser Pre-Race Show singing the national anthem. Events are being held all morning as the gates open at 8AM and the race starts at 1PM. These events include fan experience access, Budweiser party porch, and trophy display, drive introduction, FANZONE and more. Five hundred for the Daytona 500 stands for the amount of miles in which the race is as it’s covered in 200 laps. Fans will be having a great time with friends and family. Daytona is close enough to the South Florida area to enjoy other entertainment during the weekend. There are many things to do in South Florida in the weekend of Daytona 500. One of these activities can involve Miami Beach Deep Sea Fishing. The THERAPY-IV fishing charter is located in Haulover Marina by North Miami Beach. Fishing trip will help pass time for fans that are anticipating the big race. One can relax and enjoy a day out in the sea catching some fish. The THERAPY-IV charter provides two identical boats so that more people can go out fishing. Whether you’re a resident or visitor of the Daytona area, be sure to make Miami Beach Deep Sea Fishing a party of your Daytona 500 weekend. Enjoy the Super Bowl Weekend!! It’s finally Friday as all of us are looking forward to ending the work week and starting Super Bowl weekend. After two long weeks of waiting we are only a few days away from the big game. Crewmembers from the THERAPY-IV want to know if you’re ready for some football? 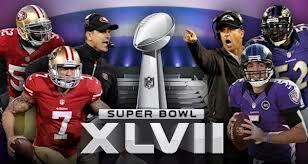 Weekend is set up for the Super Bowl between tailgating, barbeque, tag/tackle football game and more. There has been and will continue to be media coverage of the game for both teams. Big story of the game is future hall of famer Ray Lewis retiring after the game. Another story to the game is that both head coaches are brothers. Both of these brothers are young successful coaches who have only been in the league for a few years. This weekend is all about passing time until kickoff Sunday night. One way to pass time over the weekend can be done by going Miami Deep Sea Fishing. Deep Sea Fishing trip may be exactly what you need to keep yourself occupied. Most of us can only think about football while the game is still days away. Taking a trip out in the sea away from media covering the Super Bowl. Across the media, Super Bowl is being covered and mentioned. Even on the internet everyone is talking about the game one-way or another. Miami Tilefish Fishing is an activity that will take up a great amount of time. Fishing for tilefish requires plenty of focus and energy, as they are easy to capture. These are deep-water fish that can only be located offshore. Tilefish fishing is a fun event for families, as children, adults and teenagers will have a good time doing it. Make this Super Bowl weekend a family one where they all gather to go Miami Deep Sea Fishing and enjoy the game.